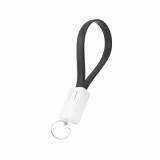 This ET Keychain USB Cord for Phone, which is compatible with IOS, Android and Type C, is portable and easy carry. Just take it. Keychain USB Cord for Phone comes with 2 in 1 use for Keychain decoration and USB cable to charge phones at any time and anywhere. 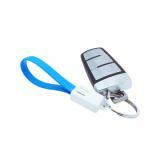 Portable and easy carry by key chain design with standard USB 2.0 transfer quick charging is perfect external backup battery capacity for day trips, extended hikes, camping, running, short excursion (a walk or ride), road trip. 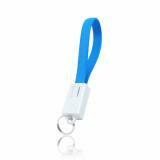 • Quick link: Type-C To USB OTG Adapter. This is perfect for my keychain or just in my purse. 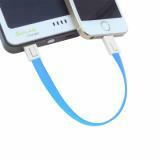 I use it with my portable charger when I need it. Looks cool and works fine. We'll see how long it actually lasts but for now I like it and looks cool on my keychain. They work perfectly! Now I can use my iPhone cable in the car with Apple Carplay and using this adapter, now use my OnePlus One for Android Auto! Very nice quality and build of material. 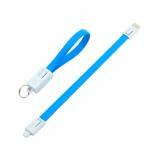 Paired these adapters with Cozy Leash! Never lose them that way! This is a really cool accessory to carry with you. I keep it with me at all times, and even bought one for my son. Very convenient.